What would a braai be without some grillers? Well, not just any grillers; the Woody’s Bacon Grillers! This recipe is excellent as a starter and will get those tastebuds stimulated and ready for more deliciousness. Place the oven onto grill setting. Slice the loaf into 1 cm thick slices. Brush each slice with olive oil and place on a baking tray. Place the slices under the grill to toast. Keep a WATCHFUL eye as they burn easily! When they have toasted evenly, remove from the grill and set aside to cool. 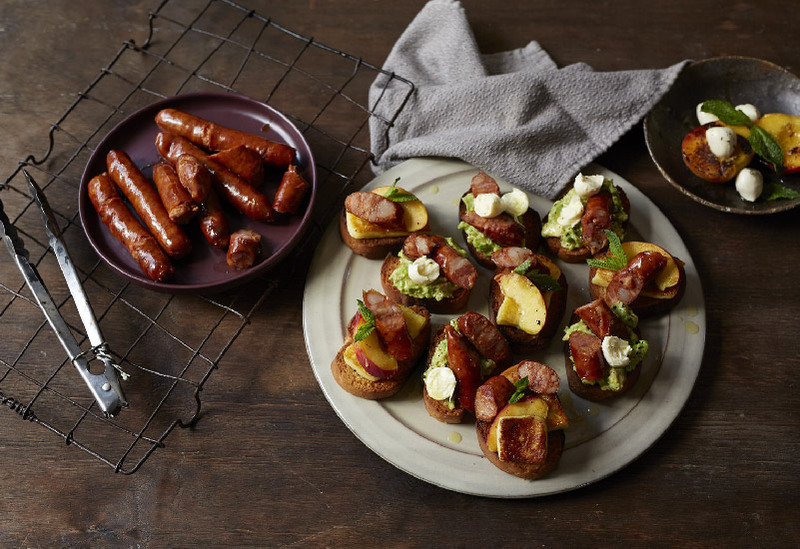 Place the bacon grillers on the braai and grill for 8 – 12 minutes. Set aside. When the bruschetta slices have cooled, prepare 2 different toppings.